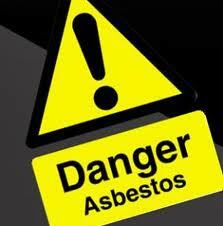 have asbestos fibres on them, the Commons Public Accounts Committee heard. The committee, which is holding an inquiry into capital funding for schools including school buildings, heard from former headteacher at Hetton School in Sunderland, Phil Keay, as well as current acting headteacher Craig Knowles. The headteachers spoke about the risks to pupils as the school faced an almost decade-long wait for new buildings after originally being told in 2007 that it would be rebuilt as part of the then-Labour government’s Building Schools for the Future programme. However, this was cancelled when the Conservative-led coalition government came to power in 2010. After several years of uncertainty as to whether the school would be rebuilt after all, including the collapse of a private funding deal, pupils were finally able to move into new buildings last September. Mr Keay said that asbestos would be exposed when wind passed through the building and caused ceiling tiles to rise, explaining: “When ceilings lift, the dust then falls. “So we had two or three cases where we had to close off school, and in fact pupils had to go into the de-fumigation van, the emergency van, to make sure they were de-dusted and hosed down and cleaned. According to the Government’s own report, a fifth of schools are “not fully compliant” with proper asbestos procedures, leaving about a million children at risk of exposure. The report also stated that 100 schools were considered to be a “significant cause for concern”. Is your own school doing everything it can to guard against the risk asbestos could pose to the health and wellbeing of your pupils? Here at Trident Asbestos Solutions, we take pride in undertaking comprehensive asbestos management to give our clients the very greatest peace of mind. The subject of asbestos in schools has rumbled on for long enough to be highly familiar to many of those enquiring about the asbestos management plans that Trident Asbestos Solutions can provide. Now, the Education Funding Agency (EFA) has released a report revealing that schoolchildren and teachers are being put at risk of exposure to the lethal fibres in about one in five of England’s schools. Many alarming statistics appear in the report, including that asbestos remains present in 83% of schools, as well as that 19% have been failing to safely manage the risk. In more than 100 schools, the situation has been sufficiently serious for the Department for Education (DfE) to be forced to intervene. The research into how asbestos in schools is managed involved the participation of more than 5,500 schools, 4,646 (83.1%) of which reported the presence of the potentially deadly substance. The research also found significant failures to protect against the risks of asbestos. “Around 20% were not fully compliant,” the report stated, “in that they did not have fully documented plans, processes and procedures in place at the time of the data collection; or did not know if asbestos was present. Worries about the number of schools failing to properly manage the risks of asbestos have led the EFA to release new guidance, including a reminder to schoolteachers not to put drawing pins into walls, given the potential for this to release asbestos fibres where the material is present. Chris Keates, general secretary of the NASUWT teaching union, stated in response to the news: “It is deeply concerning that 20% of those schools responding to the data collection were not fully compliant with regulations. If you have fears about the presence of asbestos in your own school and the risk it could pose to your students and staff, we would urge you to contact us here at Trident Asbestos Solutions. Our asbestos removal contractor audits can play a critical role and provide vital peace of mind. We see many a news story from time to time here at Trident Asbestos Solutions that helps to demonstrate the wide range of circumstances in which specialists in asbestos removals may be required, but it’s not every day that we report on the collapse of a prominent historic structure. However, such is the nature of a story that we have recently spotted in the North Wales Daily Post, reporting the sad partial collapse of Colwyn Bay’s Victoria Pier. Of more obvious relevance to our own line of business was the warning by a prominent local business leader that if the Grade II-listed structure was allowed to completely fall into the sea as feared, the beach could become polluted with asbestos – posing a risk to visitor safety. The pier was officially opened in June 1900 but has been in a state of disrepair in recent years, prompting a judge to declare in 2015 that it was unsafe and in danger of collapsing into the sea at any moment. This finally occurred in part earlier this month. This has led Roy Bichan, vice-chairman of the North Wales Economic Ambition Board and chairman of the board at Grŵp Llandrillo Menai, to express his concern that if the pier completely collapsed, a large amount of asbestos could be deposited on the seashore. Mr Bichan added that “to be fair, in my opinion the council are trying to do the right thing but are being blocked by the likes of Cadw”, a reference to the Welsh government’s historic environment service. Calling the pier an “eyesore”, he said that those attempting to save it “do not live in the real world”. A Conwy Council spokeswoman said the authority was “fully aware of the risks” and that “any works to the pier will be carried out in a safe, carefully planned and controlled manner” in light of the presence of asbestos in its buildings. Nonetheless, such a story is perhaps a reminder, once again, of how crucial it is for the owners and managers of all manner of structures in the UK to be proactive in undertaking professional and effective asbestos removals before the lethal fibres are allowed to pose any danger to public health. Contact the Trident Asbestos Solutions team now about the services that we can provide in relation to your own organisation’s premises.